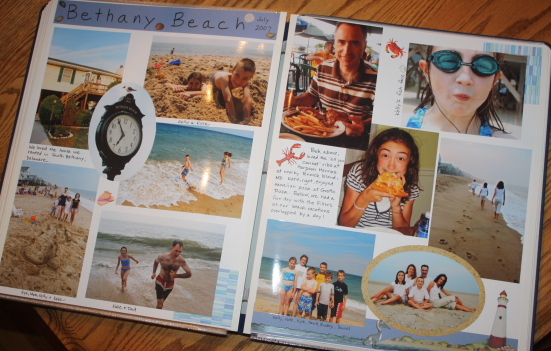 I’m convinced that scrapbooking is a disease. And I know I’m not alone. I think every one of my scrapbook-addicted friends is in the same boat. We’re all in this madness together. Part of the struggle is staying organized… downloading pictures, labeling/tagging them, having them printed, finding the right supplies–whether you’re using scissors and paper in hand or going online to “virtually scrapbook”–it all takes time. 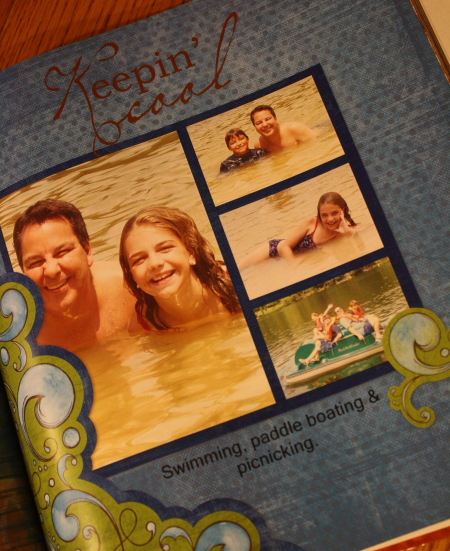 However, once I get over all of those speedbumps, finding the time to scrapbook, magically turning my dining room into scrapbook heaven… it truly is a special time to re-live wonderful family memories. Now that we’ve turned the page to fall, I’m trying to organize my summer photos so that when I am finally caught up to present day scrapbooking, I’ve clearly labeled and saved all the photos that I need. I go for long stretches without doing any scrapbooking, so when I do get back into it, I sometimes need a little inspiration to get me started. Ideas for layouts as well as theme-related quotes or titles give me a jump-start. So my friend and fellow blogger Ruth kindly loaned me some of her gorgeous scrapbooks. I’ve snapped a few pictures of some of her layouts, combined with mine, for a little summer scrapbook inspiration (both digital and traditional). 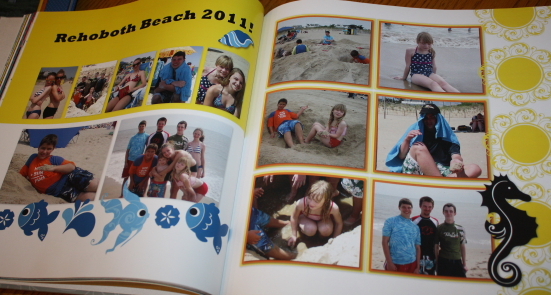 I also compiled a list of some of my favorite beach-themed titles and sayings. I hope you enjoy both! 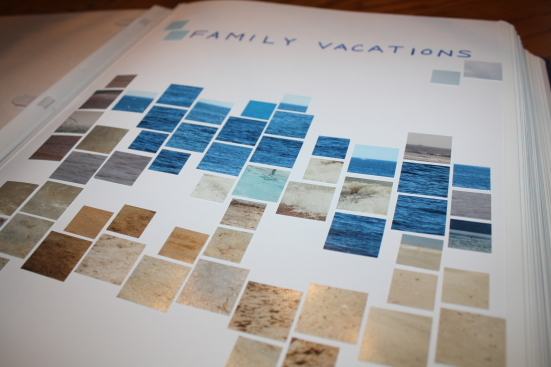 Vacation: Same Time, Same Place — Next Year! Love this — especially your post title! I used to do a scrapbook every year, summarizing everything we’d done, but I found that once we all got smart phones, the photos were so scattered about, it was hard to pull together a representative sample, so now I just let our phones be our scrapbooks. I don’t miss the guilt, but I do miss those evenings of reliving memories and creating page after page… Thanks for sharing your ideas! I don’t think you SHOULD have any guilt about smart phone scrapbooking, Chris! And you know, if you ever miss having a book in hand, there are some awesome apps that make it super easy to convert your photos straight from your phone to beautifully printed books. As long as you keep taking photos and chronicling those special moments in time–that’s the most important thing! Oh, I envy the talent! 🙂 I organize albums on my computer in ‘My Pictures’ and then keep it backed up on a Zip drive. Depending upon the album (and the time I have or don’t have! ), I create captions for the photos. 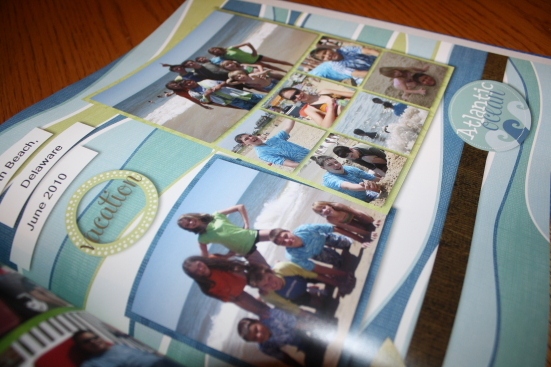 When I feel I really need an album to hold in hand, I use Shutterfly “scrap booking” and album-creating online service. It can be a little tricky to get used to using, yet it can help get an album in your hands fairly quickly. Albums are a wonderful way to tell your child’s birth history and childhood too ~ especially important for a child who is adopted! 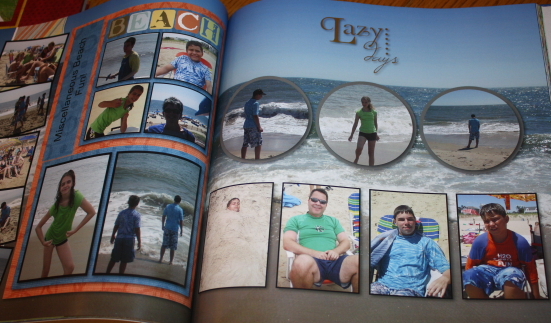 There’s just something about telling that story/history in pictures — it seems to have made my son feel really special!